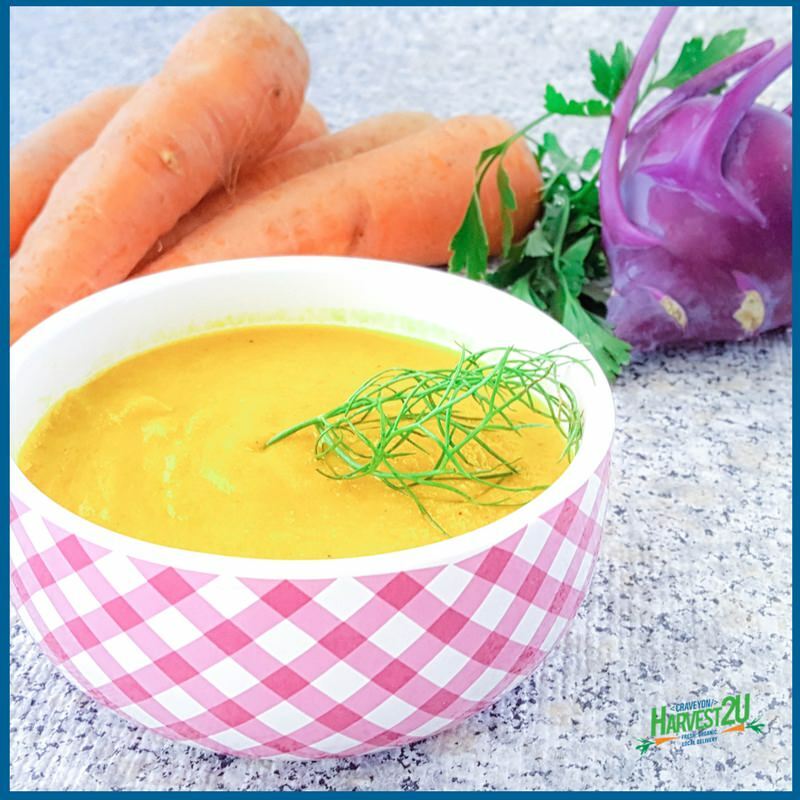 This Carrot Kohlrabi Soup is a healthy vegetarian soup perfect for cold winter nights. Cooking the vegetables in the olive oil for 7-8 minutes before adding the broth helps roast the vegetables bringing out their sweetness. Save the fennel stalks for another recipe (like homemade stock), use the white part in the soup and top with some of the fronds. If you don’t have a fennel bulb, you can substitute a chopped onion and garlic for some added flavor. Heat olive oil in a large pot over medium-high. Add fennel and cook for 2 minutes until beginning to turn translucent. Add carrots and kohlrabi and cook for 7-8 minutes. Add vegetable stock, bay leaves and parsley. Bring to a boil – reduce to a simmer. Cook until vegetables are soft. Remove bay leaves. Puree with an immersion blender, blender or food processor. Add salt to taste. Serve with fennel fronds on top.